When It comes to dental benefits, millions of people each year are leaving money on the table with unused dental benefits. Many insurance companies have a benefit deadline of December 31st, and this means any of your unused benefits don’t roll over into the New Year for most dental plans. 1. Yearly Maximum: this is the most money the dental plan will pay for your dental work during one full year. The yearly maximum usually renews every year on January 1 and if you have any unused benefits, these will not rollover. 2. Deductible: this is the amount of money you must pay to your dentist out of pocket before your insurance company will pay for any services. This fee varies from one plan to another and if you choose an out of network dentist the fee can be higher. Your deductible also starts over when your plan renews for the new year. 3. 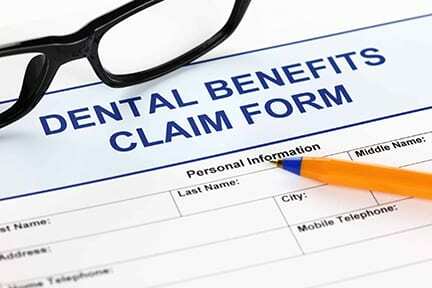 Premiums: if you are paying your dental insurance premiums every month, you should be using your benefits. Even if you don’t need any treatment, you should always have your checkups twice yearly. 4. Fee Increase: fees for some dental services usually increase with the new year. Dentist increase their rates at the beginning of the year due to increase in their cost for materials. A fee increase can make your copay higher to. 5. Dental Problems Can Worsen: by delaying treatment, you may be risking more extensive and expensive treatment down the road. I hope you will make your appointment with your dentist ASAP and don’t leave money on the table this year. In the next Tooth Talk I will discuss why you should use an FSA account before the end of the year. Please call Integrity Dental Care, PLLC (615) 445-8700 or email dr.jmitchell@integritydentalcares.com with any questions you may have.